Flying with kids is daunting. No one wants to be stuck with the crying baby. 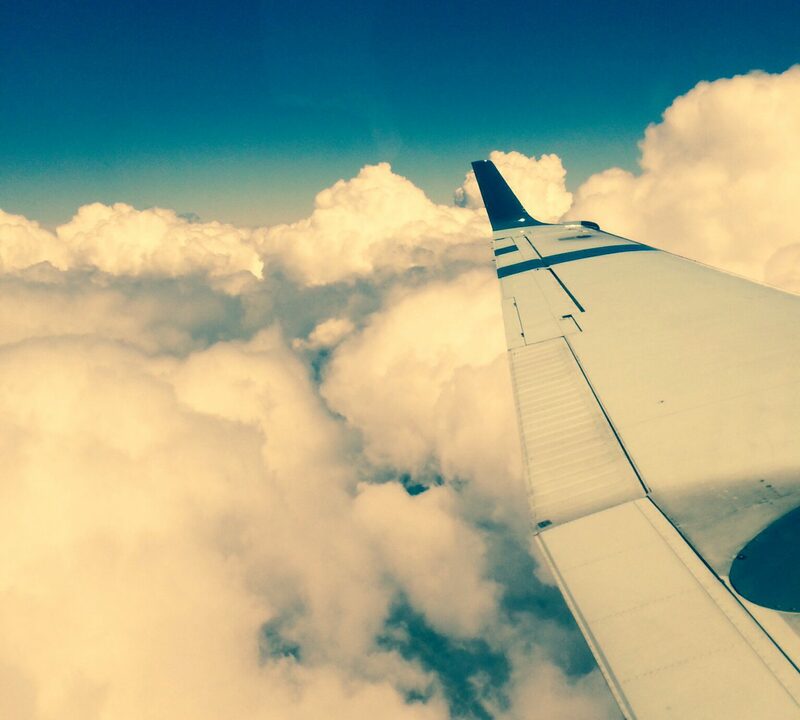 Find effective strategies to make your flight as smooth as possible. The first time I flew with my then four-month-old daughter, I was ridden with fear. I kept thinking, what will happen if my daughter won’t stop crying? Five hours on a plane is a long time! Fortunately, it went off without incident. 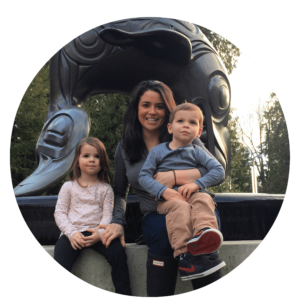 Since then, I have travelled countless times with my kids including flights to and from Europe to Vancouver, three leg trips with two toddlers and flying by myself with two preschoolers and a baby. At this point, I would say I’m pretty proficient at having a smooth trip with young kids. Here are my biggest secrets? Get extra organized, deep breathe, stay as calm as possible, and let the kids understand what is expected of them. Children as young as two can benefit from a rundown of what is going to happen and how. For example, I say, “It’s going to take a really long time. You are going to need to sit on your bum the whole time unless we need to go to the bathroom. While we’re sitting you can do ___.” Social stories can help your toddlers and older children understand what is expected and how the waiting might get tough. You can read more about those here. Here are other invaluable ways to prepare for flying with kids. Read the airline’s policy on travelling with an infant and plan accordingly. Also find out if they offer in-flight meals and/ or snacks, if you have to pay, and what the method of payment is, so you can plan. 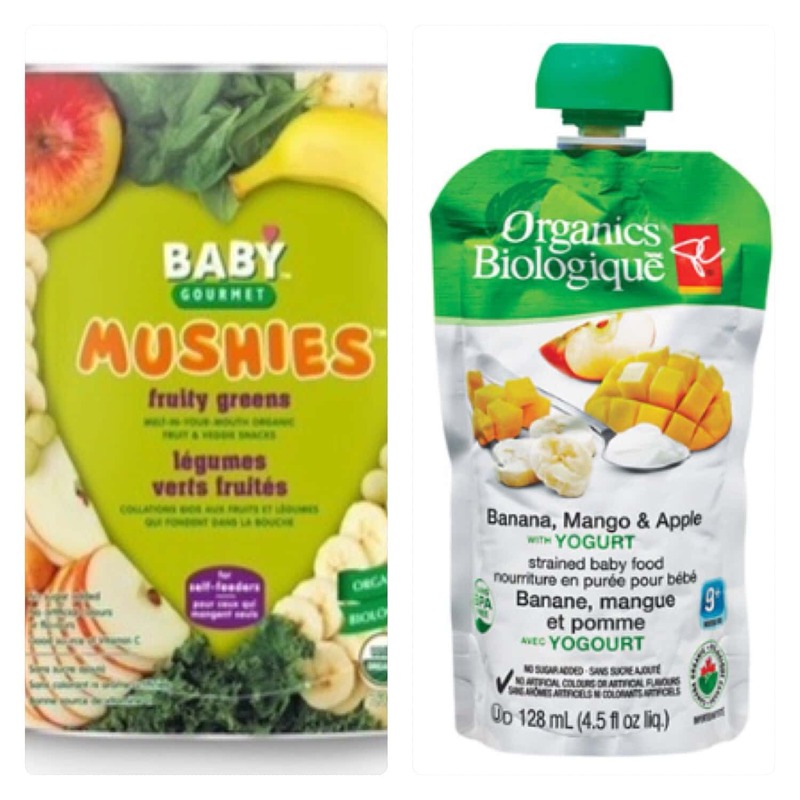 Hit up a grocery store and get your children’s favourite healthy foods that can be served easily on the go. I love President’s Choice Organics for babies just starting to eat solids because they are healthy, don’t require a spoon, and quite often are sold as “five for $5”. We also packed cheese strings, Baby Gourmet Mushies, baby carrots, Annie’s Rabbit Crackers, and Sun Rype fruit snacks. I also made sure to have my own share of healthy snacks. NB the 100 ml restriction on liquids does not apply for items “medically necessary” for an infant or young child. I understand the verbage is a bit ambiguous. In my experience, 300 ml baby sunscreen, 120 ml pouches of baby food, 200 ml diaper cream and pumped breast milk in any quantity are all eh okay. Download episodes of your child’s favourite show(s) on to a laptop, smartphone, tablet, or all of the above. I purchased new episodes of my daughter’s favourite shows in to hold her attention longer. Bring over the ear headphones, as earbuds don’t work for most toddlers. Have your device(s) completely charged and a charger accessible for when needed. Go to the Dollar Store and purchase small presents to be unwrapped on the plane. 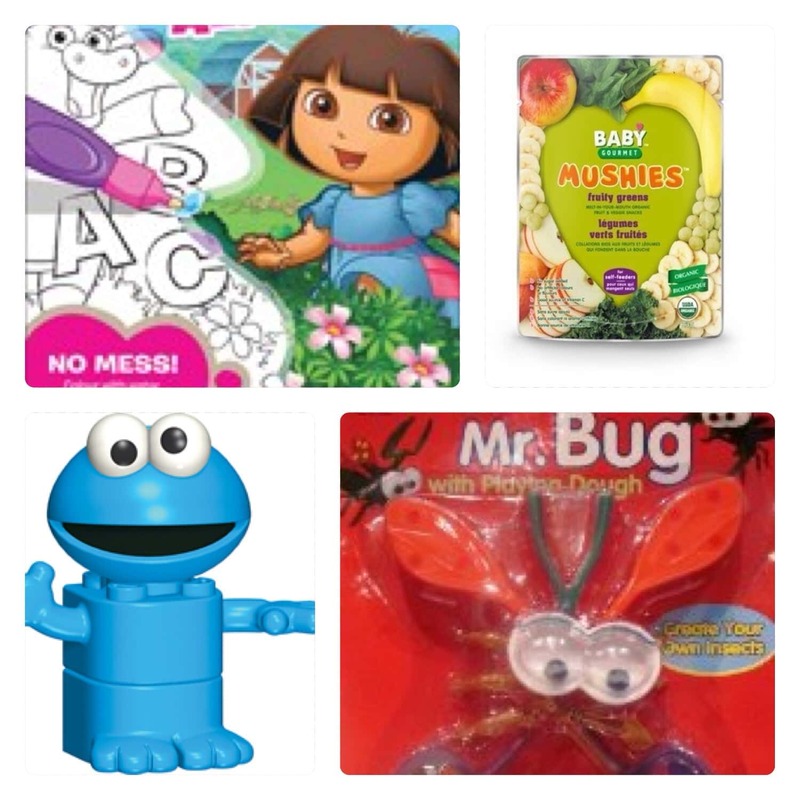 I picked up a playdough bug kit, a mega block character and Playmobil character (both needing to be built), and a “no mess” colouring book with a water-filled pen. All in, including tape for wrapping (I wrapped them using bags as wrapping paper), I spent $10. I put them in my carry-on and took one out whenever my daughter was particularly restless. Unwrapping, as well as the surprise itself, is great at buying you quiet time. Quirkymomma.com has some great, mess-free activities for any form of travel here! A roll of masking or painters’ tape will preoccupy little hands for a while. Though, I would give this to them before any surprises. 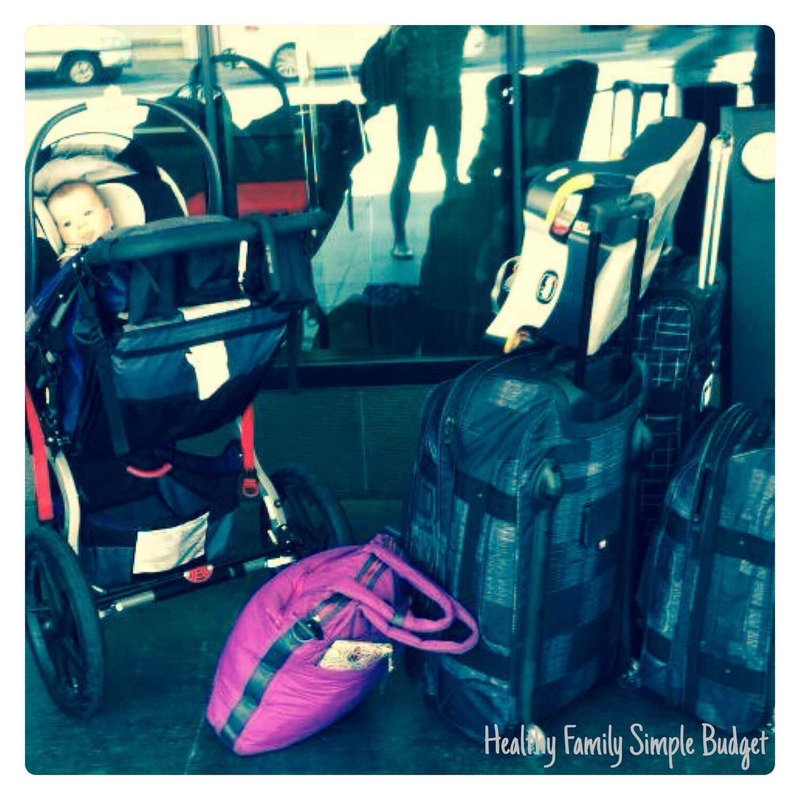 Pack your carry on, and the diaper bag in a very organized fashion. Typically, I am not organized in a precise, systematic way. When dealing with little squirmy, wormy determined babes in a confined space, each bag needed to have systems, categories, and be sub-compartmentalized. Have both printed and e-copies of your boarding passes. You may find one or the other is your preference, but having either to rely on was handy for me. If you haven’t already selected your seats, you can request your placement. If you’re travelling with a baby you can request the bulkhead; not only does it have more foot room, if your baby meets the requirements, you can use the in-flight bassinet. For us, the bulkhead was less desirable because I wanted all my carry-ons accessible at all times. Fortunately, in most airports, passengers travelling with little ones get priority through security. Nonetheless, it is worth allowing yourself as much time as possible to get through to your gate without feeling rushed or panicked. Many airports have a play area or little indoor playgrounds. Once you’re through and you know where your gate is, you may as well let your little ones burn some energy. Because you can’t bring beverages other than breastmilk or formula passed security, this is a great time to get bottled water. Flights typically board 30 minutes before departure and again, you have priority. The sooner you get to your seats, the sooner you can get your baggage organized and the kids ready. For babies, have a pacifier, bottle, or be ready to nurse for the ascent and descent. This allows their ears to adjust to the changes in altitude. For older kids, a juice box, or even a snack can resolve the feeling in their ears. Your flights pre-kids may have been a great time to watch a movie, catch up on episodes of Modern Family, and enjoy a cocktail or two. Who knows, you may get a chance to do all of these things, just don’t expect it. Every flight, every kid, and every circumstance is different. No matter what, I have found the most critical elements to surviving or maybe even successfully flying with little ones is to feel as prepared as possible, and have a boatload of patience. Great tips here! I have yet to fly anywhere with my kids.. I am dreading it! Thank you, Lauren! And I understand the dread. I was petrified the first time, and the time I did it by myself. Thank you! If every parent was so well prepared then air travel would be more pleasant for everybody. Thanks, Shelah! And I agree, being calm and prepared is more than half the battle! My hat is off to you for being brave enough to fly with two little ones alone! Supermom, soaring through the air and all! 😉 Anyway, great tips for traveling, many applying on or off the ground. I always pack little dollar store gifts for my kids when we travel, too. It definitely breaks up the monotony for them. Brave is a generous word. I think borderline crazy would be better. Thank you for your compliments! And yes, dollar store gifts are GREAT!!! Hmm, Alana.. “Crazy” would be the best compliment I think. By the way, great tips for the new moms. And downloading my lo favorite shows really works great for me. Thanks for the amazing tips. 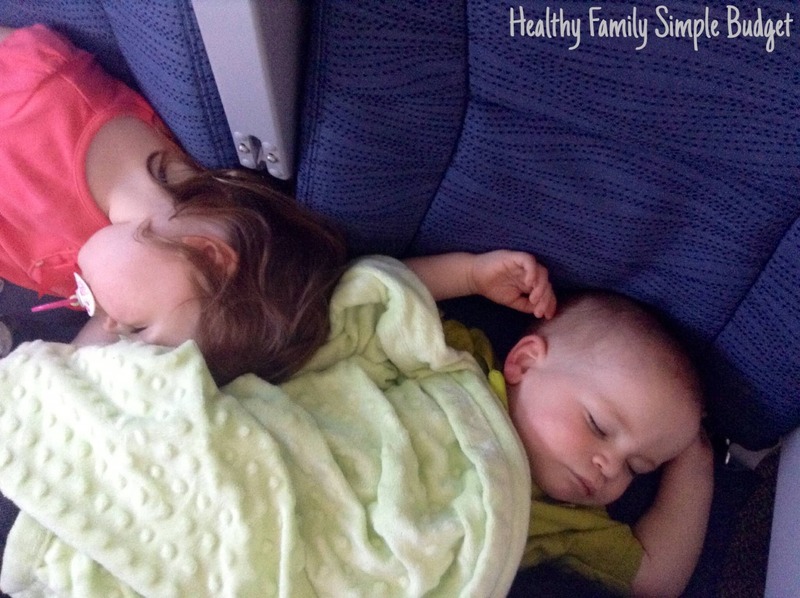 I have never flown on an airplane since having kids, because of my husband’s fear of flying but if we did, these are definitely good tips to have for before leaving the ground. I especially like the part about low expectations. That is such an important thing to remember. I often think of myself as an optimist because my expectations are so sky high (pun intended), but then when they come crashing down it’s really difficult to handle! Low expectations are definitely the way to go. Excellent thoughts here, Alana! I love your posts! Melissande, I feel like I’m in a constant push and pull of being realistic and having things go smoothly, and being overly ambitious, things not going seamlessly, and needing to check my ego a bit. It isn’t easy with little ones, that’s for sure! Thank you for your great and thoughtful commentary! And thank you for saying you love my posts! It means SO much!!!! Feeling like being hit by a bus is an understatement, LOL. I wish I had your tips before our long flights. Great tips! Those are great tips. I haven’t flown anywhere with my guys yet but when I do, I’ll remember this! Sounds like you did a great job!!! Thank you so much, Rachael. If you do happen to fly with three under three, you have to let me know how it goes!!! Great tips! But I hope I don’t ever find myself in that situation. “Crazy” would be my word for it too. My kids are older now, so I think I’m in the clear … maybe. Ah! I could have used this last week! I’ll pin it for next time though. We just got back from our first flight with my 15 month old. He was okay. It was his nap time and he will ONLY nap in his crib, so he was a little cranky. 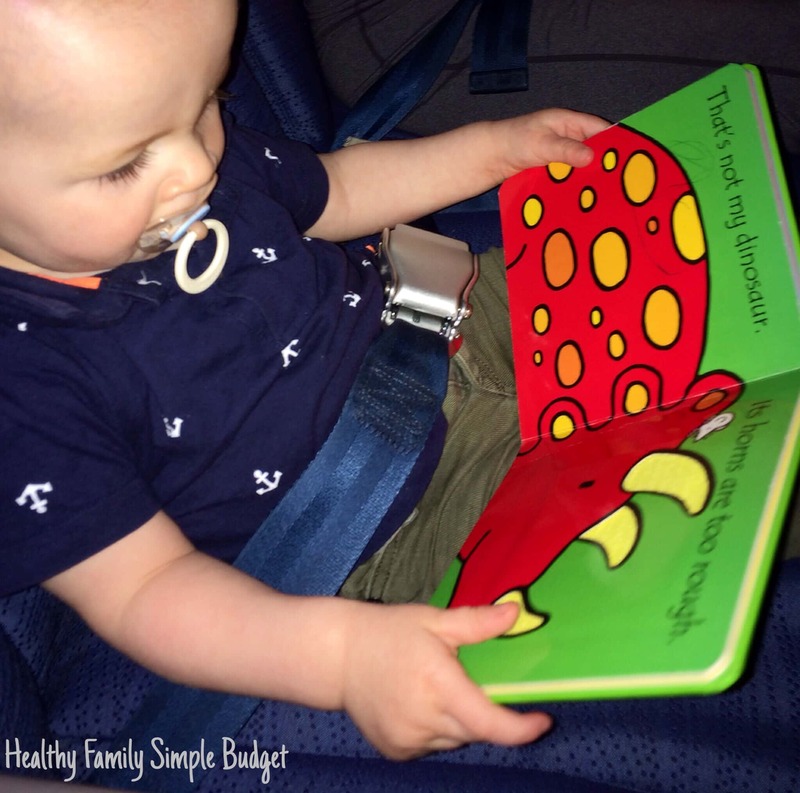 We had plenty of snacks and I found this awesome reusable sticker book that he loved. Glad you enjoyed it, Tricia! Sorry it didn’t get to you sooner. Thank you for pinning!!! I really appreciate these tips. A parent who is well-prepared when traveling with their children makes the flight more pleasant for themselves and everybody else on the plane. Thanks for letting me know about this post! I actually have the possibility of traveling to Germany in the near future and am terrified of doing so because I’m not sure how my 2-year-old would take to the whole thing. Thanks so much for finding this post and commenting. Your name sounds German! I will tell you right now it isn’t easy, but it is doable. The best thing is to FEEL prepared. The next best thing is to try to get a direct flight. You may mistakenly think it will be easier to get out and stretch your legs but it just delays the inevitable and feels worse each time you buckle up again! Thanks so much! It’s certainly helped us when my kids have gotten especially restless.